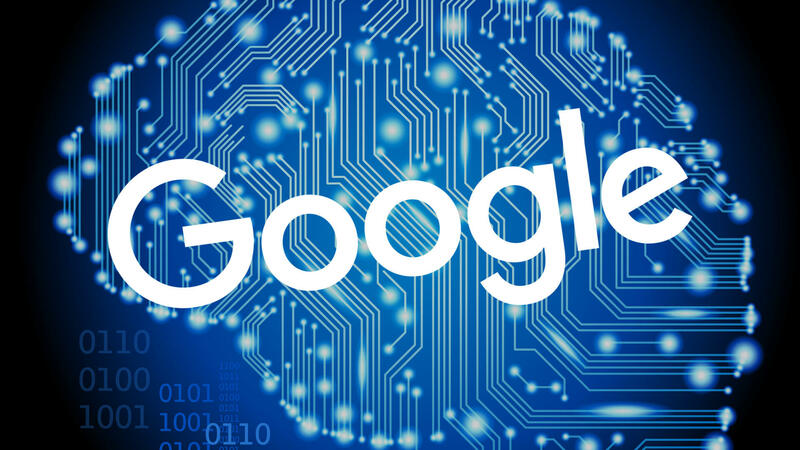 Google's using a machine learning technology called RankBrain to help deliver its search results. Here's what's we know about it. Google uses a machine-learning artificial intelligence system called “RankBrain” to help sort through its search results. Wondering how that works and fits in with Google’s overall ranking system? Here’s what we know about RankBrain. First is the Bloomberg story that broke the news about RankBrain (See also our write-up of it). Second, additional information that Google has now provided directly to Search Engine Land. Third, our own knowledge and best assumptions in places where Google isn’t providing answers. We’ll make clear where these sources are used, when deemed necessary, apart from general background information. True artificial intelligence, or AI for short, is where a computer can be as smart as a human being, at least in the sense of acquiring knowledge both from being taught and from building on what it knows and making new connections. How’s AI different from machine learning? In terms of RankBrain, it seems to us they’re fairly synonymous. You may hear them both used interchangeably, or you may hear machine learning used to describe the type of artificial intelligence approach being employed. No. RankBrain is part of Google’s overall search “algorithm,” a computer program that’s used to sort through the billions of pages it knows about and find the ones deemed most relevant for particular queries. Hummingbird also contains other parts with names familiar to those in the SEO space, such as Panda, Penguin and Payday designed to fight spam, Pigeon designed to improve local results, Top Heavy designed to demote ad-heavy pages, Mobile Friendly designed to reward mobile-friendly pages and Pirate designed to fight copyright infringement. PageRank is special because it’s the first name that Google ever gave to one of the parts of its ranking algorithm, way back at the time the search engine began, in 1998. Signals are things Google uses to help determine how to rank webpages. For example, it will read the words on a webpage, so words are a signal. If some words are in bold, that might be another signal that’s noted. The calculations used as part of PageRank give a page a PageRank score that’s used as a signal. If a page is noted as being mobile-friendly, that’s another signal that’s registered. All these signals get processed by various parts within the Hummingbird algorithm to figure out which pages Google shows in response to various searches. It’s a pretty good guide, we think, to general things that search engines like Google use to help rank webpages. What are the first- and second-most important signals? My personal guess is that links remain the most important signal, the way that Google counts up those links in the form of votes. It’s also a terribly aging system, as I’ve covered in my Links: The Broken “Ballot Box” Used By Google & Bing article from the past. From emailing with Google, I gather RankBrain is mainly used as a way to interpret the searches that people submit to find pages that might not have the exact words that were searched for. 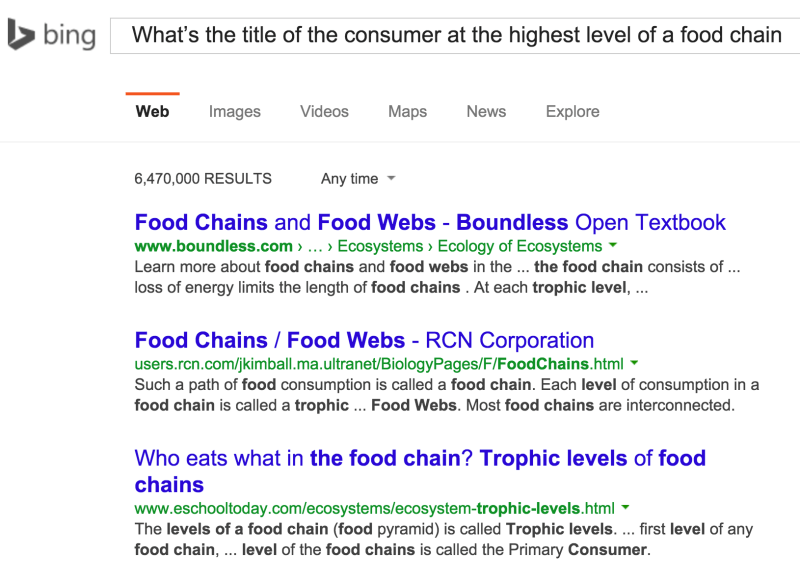 The Knowledge Graph, launched in 2012, was a way that Google grew even smarter about connections between words. More important, it learned how to search for “things not strings,” as Google has described it. The methods Google already uses to refine queries generally all flow back to some human being somewhere doing work, either having created stemming lists or synonym lists or making database connections between things. Sure, there’s some automation involved. But largely, it depends on human work. The problem is that Google processes three billion searches per day. In 2007, Google said that 20 percent to 25 percent of those queries had never been seen before. In 2013, it brought that number down to 15 percent, which was used again in yesterday’s Bloomberg article and which Google reconfirmed to us. But 15 percent of three billion is still a huge number of queries never entered by any human searcher — 450 million per day. Among those can be complex, multi-word queries, also called “long-tail” queries. RankBrain is designed to help better interpret those queries and effectively translate them, behind the scenes in a way, to find the best pages for the searcher. As Google told us, it can see patterns between seemingly unconnected complex searches to understand how they’re actually similar to each other. This learning, in turn, allows it to better understand future complex searches and whether they’re related to particular topics. Most important, from what Google told us, it can then associate these groups of searches with results that it thinks searchers will like the most. Google didn’t provide examples of groups of searches or give details on how RankBrain guesses at what are the best pages. But the latter is probably because if it can translate an ambiguous search into something more specific, it can then bring back better answers. Can Bing do this, too, with RankNet? Back in 2005, Microsoft starting using its own machine-learning system, called RankNet, as part of what became its Bing search engine of today. In fact, the chief researcher and creator of RankNet was recently honored. But over the years, Microsoft has barely talked about RankNet. I tried to test this by searching at Google.com versus Google Australia. I didn’t see much difference, myself. Even without RankBrain, the results would often be different in this way just because of the “old-fashioned” means of favoring pages from known Australian sites for those searchers using Google Australia. Despite my two examples above being less than compelling as testimony to the greatness of RankBrain, I really do believe that it probably is making a big impact, as Google is claiming. The company is fairly conservative with what goes into its ranking algorithm. It does small tests all the time. But it only launches big changes when it has a great degree of confidence. Integrating RankBrain, to the degree that it’s supposedly the third-most important signal, is a huge change. It’s not one that I think Google would do unless it really believed it was helping. In October 2015, Google told Bloomberg that a “very large fraction” of the 15 percent of queries it normally never sees before were processed by RankBrain. In short, 15 percent or less. Those predictions are tested, and if proven good, then the latest version of RankBrain goes live. Then the learn-offline-and-test cycle is repeated. Signals are typically factors that are tied to content, such as the words on a page, the links pointing at a page, whether a page is on a secure server and so on. They can also be tied to a user, such as where a searcher is located or their search and browsing history. There’s a longer research paper this is based on here. You can even play with your own machine learning project using Google’s word2vec tool. In addition, Google has an entire area with its AI and machine learning papers, as does Microsoft. Also be sure to see our article, How Machine Learning Works, As Explained By Google. NOTE: This story has been revised from when it was originally published in October 2015 to reflect the latest information.